Procedures and policies for the implementation of the layoff process for staff employees; bumping of employees between units; and funding for individuals whose salaries are higher than the budget line of the position into which they bump. A permanent layoff may occur when a unit officially declares that an employee will be laid off within a minimum of sixty to ninety days’ notice because of staff reduction caused by lack of funds, departmental reorganization or program elimination or other reasons. Units cannot use layoff as a means to displace an employee because of performance problems. Civil Service rules require that affected employees must be given at least 30 calendar days advance notice of a layoff in writing. To ensure that such advance notice can be provided to all affected parties, the Staff Human Resources Office requires that any proposed reductions in force be sent in writing to the Staff Human Resources Office at least 90 days prior to the action. This is particularly necessary when the affected individuals may have bumping rights in classifications in which there are few placement opportunities or where positions require unique or highly specialized job skills. Such notification to the Staff Human Resources Office should be from an administrator in the employing unit initiating the layoff and should be authorized by an administrator in the major/parent unit (such as college, school or major administrative unit) of which the employing unit is a part. Upon receipt of such layoff notification, the Staff Human Resources Office will send the official written notice of layoff to the affected employee(s). If a union represents an affected employee, the Staff Human Resources Office will notify the union of the pending layoff. It is expected that departments will discuss the layoff with the affected employee; at a minimum, the unit should inform the employee that is has requested the Staff Human Resources Office to issue the official written notice of layoff. It is expected that a unit will make every effort to resolve staff reductions within the unit or will work with the major/parent unit to identify placement within the major/parent unit. The Staff Human Resources Office is also available to work with the unit or major/parent unit to restructure vacant positions or to create new positions to place an employee. Before a layoff can be accepted and before an employee is placed in another unit, the unit initiating the layoff must complete a layoff assessment form attesting that the person being laid off does not have performance problems (See Attachment I). Where possible and to minimize the bumping of other employees, layoff resolution will be handled by the placement of the affected employee in a vacant position. When the employee qualifies, tests, is referable and agrees to alternative job placements, he/she may be placed in a vacancy for a position title other than those for which the affected employee has bumping or retreat rights. When there are vacancies in the position title of the laid off employee, Civil Service rules require that the vacancy(ies) be used to place the affected employee prior to initiation of any bumping activity. Should the impact of the proposed layoff cause the displacement of one or more employees in other campus units, the Staff Human Resources Office will consult with all employing units and major/parent units that may be affected by the proposed layoff before the implementation of the layoff. Where appropriate, a meeting of the affected units will be held. 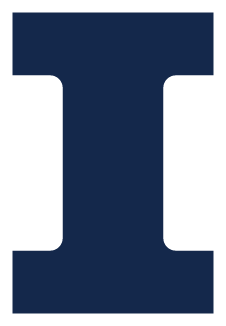 The Urbana-Champaign campus supports the principle that an employee who is being laid off should be given preference for any vacant position in other classifications for which the employee is qualified. When there is no vacancy and it is necessary to lay off an employee, the least senior employee in the classification within the employing unit is laid off. The normal sequence of bumps will cause this employee, if not the least senior employee on campus, to displace the least senior employee in the classification elsewhere on campus. The least senior employee in the classification on campus is then laid off as prescribed by State Universities Civil Service System rules. In cases where the receiving campus unit can substantiate the bumping employee’s inability to perform required duties, the receiving unit will have the option of requiring an intermediate bump at the major unit level, providing there is another employee in the major unit who has less seniority. The initially laid off employee would then first displace the least senior employee in the major unit who would then bump into the campus unit. It is the intent of this policy to minimize the number of persons displaced whenever possible, yet recognize the need for some management discretion to allow the receiving campus unit flexibility in matching an employee with responsibilities of the position. The requirement to transfer salary funds applies only for the employee initially laid off. During the first 60 days, the receiving unit must evaluate the work of the employee (See Attachment II). In the event the unit determines within 60 days that the bumping employee cannot perform the duties and responsibilities required, a committee of three qualified but disinterested parties would be selected to review the matter. The affected units and the Staff Human Resources Office will select the committee members. The recommendations of this committee will be referred to the Vice Chancellor for Administration and Human Resources of the Urbana–Champaign campus for review and for determination as to a course of action. An employee exercising bumping or retreat rights or laterally transferring is expected to assume the responsibility to handle the duties associated with the new position. Such responsibility includes training or retraining if such is deemed necessary for the fulfillment of position needs. Failure to do so may constitute grounds for disciplinary action. After all above actions have been taken and a layoff has occurred, the Staff Human Resources Office will record the layoff and all units and persons affected. If the unit initiating staff reductions subsequently requests hiring or reclassification of staff into the affected classification or promotional line within a period of 3 years, the Staff Human Resources Office will notify all units originally affected by that layoff and bumping action. The gaining unit(s) will have the prerogative to return the laid-off employee(s) to the former employing unit. When it becomes necessary for a unit to hire an employee in a classification that currently has employees in layoff status, that unit must accept employees who have reemployment status (i.e., employees who have been laid off or who have been bumped because of layoff activity). In the event that the employing unit rejects such employees, the request to hire will be returned to the unit and may not be resubmitted for a period of 90 days. However, laid off employees remain on the reemployment register until they are placed in another position. If a unit resubmits a request to hire after 90 days, laid off employees will again be the only employees referred if they are still on the register. Further questions concerning this policy statement should be directed to Employment Services, Staff Human Resources Office, (217) 333-3109.